Cascade Monuments & Urns, located in Bellingham, Washington, provides monuments designed and manufactured locally. We have created monuments with a passion for excellence. Today, we ship monuments throughout the entire U.S. and Canada. Behind every one of our monuments is a level of professionalism not visible to the eye. Owner, Rinne Cain, acquired his monument apprenticeship in Whatcom County through Fussner Monuments. Whatcom County is a place where you will find a beautiful Bayview scenery. We are located one mile south of Greenacres memorial park & Ferndale Jones-Moles funeral home, at 1118 W. Smith Rd. Our affordable prices, artistic work & craftsmanship are second to none. 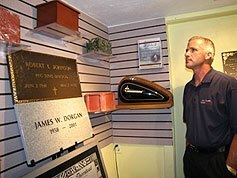 Cascade Monuments & Urns use the finest manufacturers in the United States. 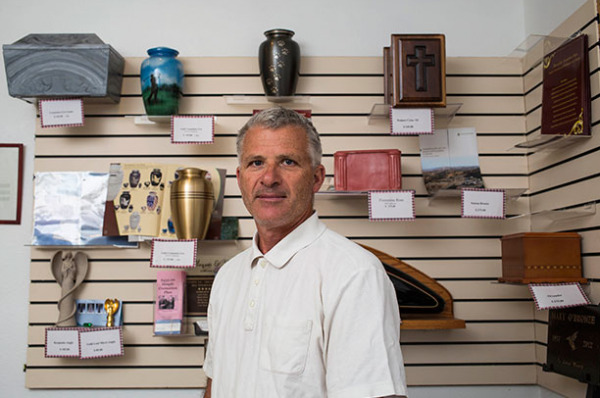 We work with funeral homes & cemeteries throughout the U.S. We also work with the most reasonable priced burial & cremation services in Washington State. Rinne's goal is to save families money while still providing a high-quality product. When a person dies, it’s a tragedy for that person’s loved ones. It’s also big money. In 2012 in the U.S, cemeteries, crematories and funeral homes made more than $16 billion in revenue, according to the National Funeral Directors Association. It also estimates that in 2014, the median price of an adult’s funeral was $7,181 for a burial and $6,078 for a cremation.